Many girls dream of being a princess. They want to meet their Prince Charming and be swept off their feet. It definitely makes for a fun romantic story. 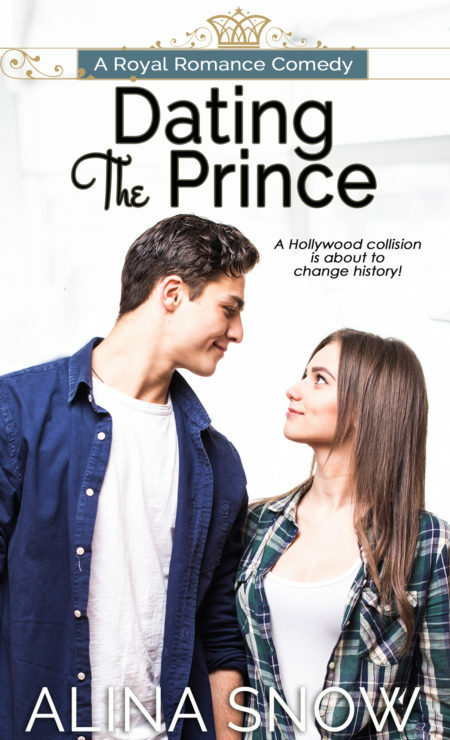 The new title, Dating the Prince by Alina Snow is the latest option for those who love this kind of boy meets girl story. Note ~ Affiliate links are present for your shopping convenience. As the future king, Prince Alexander refuses to rule from an ivory tower. Duty-bound, he intends to relate to his future subjects, regardless of their walk of life. Before his coronation, he needs a foolproof plan to outrun his security team and go temporarily AWOL. While visiting L.A., all it takes is a soundstage collision and Alex is blindsided by a headstrong woman who is simply irresistible. So much so, he calls in a favor in order to secure her help … as his pretend girlfriend. If you are into fairy tale stories and maybe have been a little caught up on royal weddings, then this title should be in your reading queue. The author was inspired by the engagement of Prince Harry to actress Meghan Markle. This story presupposes that the Prince is heir to the throne and that the Queen is going to be stepping down for him to begin his rule. This is the reason for his round the world tour which lands him in Hollywood. Like all good romantic comedies, there’s a bit of tension throughout the story. And, eventually, they fall head over heels in love. But, having feelings for someone and giving up the life you know to be with them permanently isn’t easy. The book is divided into three main sections (almost as if they could each be a novella.) First, you have them meeting in Hollywood and forging an allliance. Secondly, they head to Texas where working together on the campaign of Katie’s father and ultimately fall in love. Finally, they head to England where life becomes completely different for Katie causing her to reconsider he desire to marry the prince. Hi Laura. Thank you for featuring Dating the Prince on your blog.